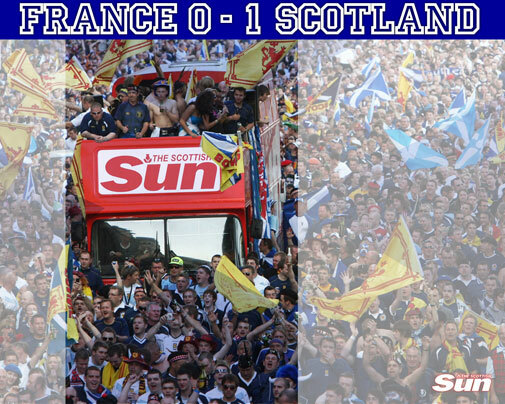 The Scottish Sun is very active promotionally, with a strong presence at big sporting and other newsworthy events. The brand approached Maximise Sport to create a mobile promotional platform that would ensure maximum standout at these events. Our response? The Sun Bus – a highly visible, branded open-top bus - developed, designed and delivered by our team. It now takes centre stage at many of the brand’s events and famously led the march of the Tartan Army in Paris, prior to Scotland’s memorable 0-1 victory over France, in September 2007.